Add-Ins are used to add new features to the RoleTailored Client and was introduced with NAV 2009 SP1. I have previous written about a ASP.NET RSS reader – in that article, the collection of feeds was a C# function, so why not use this function to extend the RoleTailored Client. I will be using Visual Studio 2008 to write a Dynamic Link Library (dll), but you can also use the free Express version of Visual C#. Let’s start by creating a new project – a class library. I have chosen to call it naviRSS. Add-In libraries must be strong signed, therefor go into properties -> Signing. Here we are going to create a new key. Microsoft.Dynamics.Framework.UI.Extensibility is a dll file that usually can be located here: C:\Program Files\Microsoft Dynamics NAV\60\RoleTailored Client. Finally we have the initial settings in place and are ready to handle the “real” code. Ok – now we have all the info we need about the feeds. Next is to create a html page, which we will be using to present the feeds with. Add a new item RssFeeds.html to the project. Notice that we have a variable %feeds%. This variable will be updated by the function Text, that is located in the RssControl.cs. To be able to use the html page from the RoleTailored Client, we have to embed the file. This is done by adding the resource file Resources.resx to the project. Then afterwards open Resources.resx and drop (drag & drop) the RssFeeds.html file on it. Now all we need is to add the item RssFeeds.cs to the project (new item -> class). In RssFeeds.cs we will be handling CreateControl and AllowCaptionControl. When the NAV Client needs to create the actual winforms control, it will be calling the CreateControl. By having our own CreateControl in the RssFeeds.cs – we are overriding the default method and giving it a html template instead. AllowCaptionControl is used the override the default handling of captions. [ControlAddInExport(“naviRss”)] is used to set the “control name” for navision. In this case the Control will be known as naviRss. Everything is now in place and we are ready to build our project. Build the project and place the naviRss.dll in the Add-Ins directory under the RoleTailored Client. 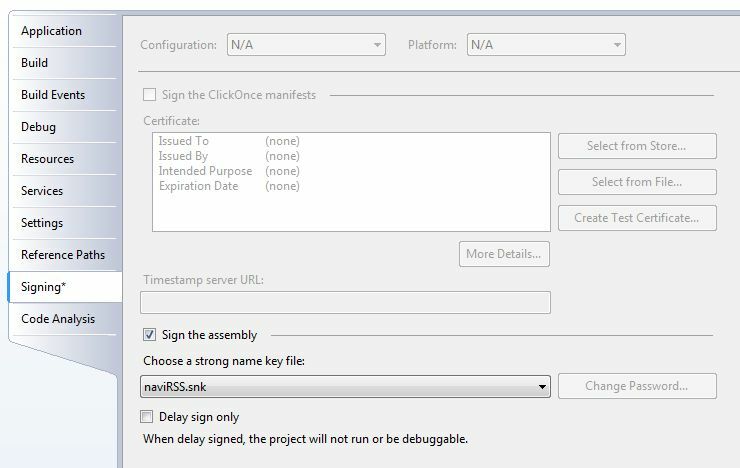 All you know have to do is setting up the dll in navision and build a page to use it. This will be described in the next article. Hi. I know it’s not new or anything, but would like to see this working. For me it stops with the last class. I’m new into this, so please advice. The dll doesn’t work in role tailored client. 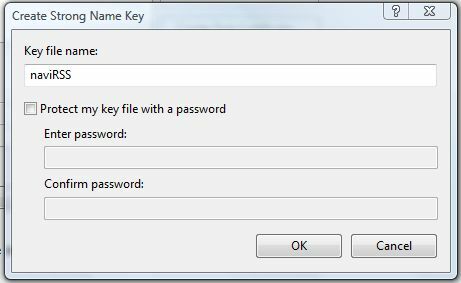 Is it possible for you to send the actual dll file? That can be of great help.